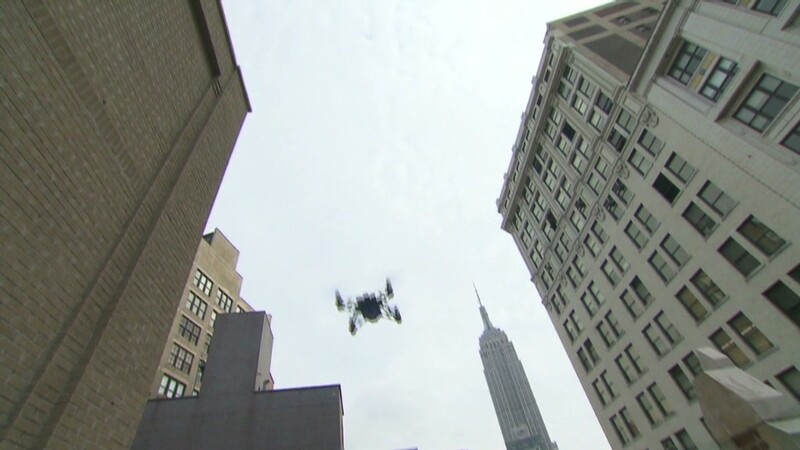 A startup called QuiQui wants to deliver drugs to San Francisco residents -- using drones. 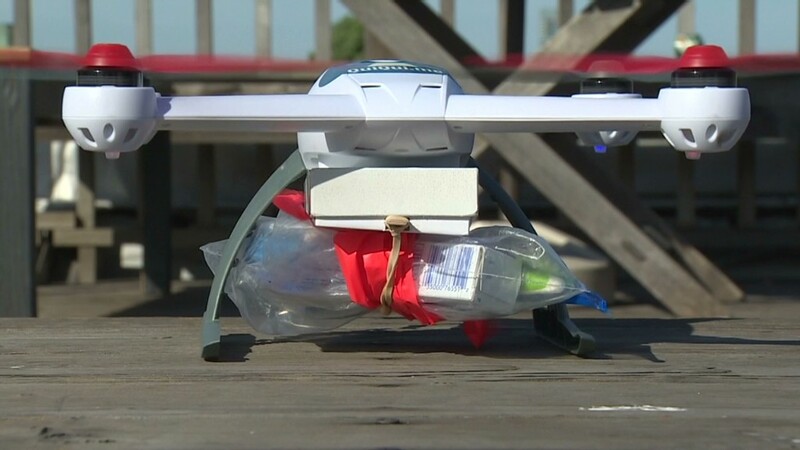 The company is testing drones that would deliver medicine and anything else you'd normally purchase at the pharmacy. QuiQui's drone technology is still an early prototype, but founder Josh Ziering has ambitions to streamline the process. "You have a headache because you were up late last night and you need an Advil," he envisions. "Open up your phone, and just like your favorite car-sharing application or taxi application, you're going to drop a pin on a place....You'll put in your order, one of our technicians will get your order, and we'll attach it to the drone." Ziering says QuiQui expects to be able to deliver meds to people living in San Francisco's Mission District just eight to 12 minutes after they're been ordered. Users will get a notification when their order arrives. "You'll swipe to drop," Ziering says. "And as soon as you swipe, the drone will receive that information, drop your order with a streamer, and away you go." 28-year old Ziering, a self described "aviation fanatic," says over 600 users in the Mission District have signed up for the service. The company is looking to raise money to get the company off the ground. He's also currently working to partner with pharmacies to offer prescription deliveries as well. It's not the first the world has heard of drone deliveries. Amazon (AMZN) made a splash in December when it revealed plans for a drone delivery service called Prime Air that would allow the mega-retailer to drop off items at customers' doorsteps. Ziering isn't phased by Amazon's plans. The entrepreneur says his company can operate faster -- and with more flexibility. "We can do things that they can't because we don't have the accountability to the shareholders and stockholders," he says. But until the Federal Aviation Administration gets on board, both Amazon and QuiQui may face regulatory roadblocks. The FAA is currently working to relax restrictions for commercial drone use, but the current regulations prohibit these type of deliveries. Still, Ziering insists the company is in the clear, for now. As a prototype, QuiQui isn't yet flying the drones commercially, which is why the company is able to get around current regulations. The founder says that by maintaining 500 feet from populated areas and steering clear of airports, they're operating legally. QuiQui plans to make its first delivery by the end of July. "Whether we charge for them [and break the law] remains to be seen," Ziering says. "As aviators ourselves, we want to abide by the law, but don't want regulation to stifle innovation."